Volvo Ocean Race video - endgame of Miami-Lisbon Leg: The fleet are planning their endgame for Leg 7 from Miami to Lisbon. Ever closer to completing their round trip from Europe in this year's epic race, there's no time to think of the end, only of the challenges in front of them. A ridge of light air threatens to mix up the boats' positions agonizingly close to the finish line. The key to winning Leg 7 of the Volvo Ocean Race lies in choosing the fastest route through an area of light air directly ahead of the fleet. That ridge and the final 100 or so nautical miles to Lisbon will be the decider. Abu Dhabi Ocean Racing's lead in Leg 7 of the Volvo Ocean Race from Miami to Lisbon, Portugal, dwindled to 22 miles over PUMA Ocean Racing powered by BERG and 25 miles over Groupama Wednesday morning with the finish line just 467 miles away. Portsmouth, RI (May 30, 2012) – With less than two months until the start of the 2012 Olympic and Paralympic Games in London, England, US Sailing announced a nationwide effort to cheer on the US Olympic and Paralympic Sailing Teams. Some of the trailing boats appear to be cutting the corner to Lisbon – sailing fewer miles certainly has its merits – but Tom is confident in our approach to this windless ridge now just a day away, and that deserves proper consideration, too. "We were looking forward to racing Robertson and felt good about the way we were sailing the boat but at the end, it was just taken out of our hands. "We'll take some confidence from the event and get straight back into it at the Korea Match Cup. 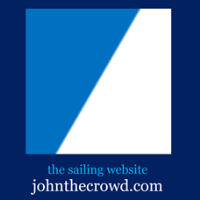 JUNEAU - SouthEast Alaska Sailing (SEAS) announces the 2012 SEAS Cup. This series of 13 races designed to be fun, while remaining challenging and rewarding. The races began May 13, and continue all the way through Labor Day. Olympic team manager Stephen Park has conceded Great Britain's sailors may forfeit a some home advantage with the hosting of a World Cup regatta at the Olympic venue in Weymouth and Portland less than two months before the Games. We've learned that sailing vessels unlike their motorised are not expected to be able sail a straight course from point A to point B! With wind as its basic propellant the sailing vessel must constantly readjust its course to maximise wind power. PICASA Following an exceptional sailing season in 2011, Pass Christian's Steve Montagnet has been named Budweiser Sailor of the Year by the Mississippi Coast Yachting Association. Montagnet is the owner and skipper of Fidelis II, a 44-foot Beneteau. Two ancient shipwrecks from Roman times have been discovered in deep water off a western Greek island, a find which challenges the long-held theory that. Oban-based sail-maker Chris Owen has been chosen to help over-see the 49er Olympic Campaign in Weymouth. Chris is the shore manager for the team working with Olympic coach Paul Brotherton,a world class sailor in his own right. Today Tuesday 29 May, the Irish Sailing Association (ISA) with the assistance of TV personality Kathryn Thomas launched SAIL SPREE a new initiative to encourage people to get on the water over the weekend of 23/24 June 2012. The WaterFront Center is a US SAILING accredited school, providing sailing lessons and programs for sailors of all ages and skills. Adults and families may choose to enjoy a 2-hour Discover Sail, or a 4-hour Sailing 101 lesson. Qingdao has been announced as a venue for the ISAF Sailing World Cup. The Chinese event will include $180000 prize money. 2012 #China #htc #photography #qingdao #streamzoo Uploaded from Streamzoo. Indepth windsurfing gear reviews, the latest news and videos, and windsurfing instruction from North America's premier windsurfing magazine - Windsport. Volvo Ocean Race video: With some fast, downwind conditions heading east to Lisbon, Abu Dhabi are still trying to out-run the pack hunting them down. Groupama are making back their lost miles. Volvo Ocean Race 2011-12 fleet are being pushed along by a front, which is moving almost as fast as them. The crews are devouring the miles to such an extent that this seventh leg from Miami to Lisbon should see some 24-hour distance records being set. Leg leaders Abu Dhabi Ocean Racing (Ian Walker/GBR) are fast reaching towards the Portuguese coast and clinging on to a diminishing lead over the chasing pack as the six teams ride the cold front on Leg 7 of the Volvo Ocean Race from Miami to Lisbon. Volvo Ocean Race, Day 9 of Leg 7. Amory Ross, MCM for Puma Ocean Racing powered by Berg, reports on the crew's progress: 'The race has come good, eh!?' Ryan Godfrey. One thousand miles to go, and what a thousand miles it is shaping up to be. You know what the best part of this race has been so far? The fact that this crew, without exception, still laughs at each others' jokes and seems to hit it off as if it was day one of the program. And what a huge part of sport that is. Chemistry. With 689 nautical miles to go to the finish of Leg 7 in Lisbon, Portugal, the pace has increased today as the chasing pack went into attack mode and continued to whittle away at Ian Walker and Abu Dhabi Ocean Racing's tenuous lead. The latest Volvo Ocean Race update spells more bad news for Abu Dhabi Ocean Racing. The leg seven leader's advantage has been cut to just 30 nautical miles by Puma Ocean Racing, with Camper Team New Zealand now just 55 miles off the pace. By Joe Battenfeld NEWPORT, RI — Summer is back in New England and you know what that means — backyard barbecues, traffic tie-ups on the Cape, and the return of one of the most storiedsailing vessels on the high seas — US Sen. John F. Kerry's yacht. By Natasha Prince The Voyage for Cleaner Energy is a worldwide lecture series andsailing expedition. Picture: David Ritchie What do two South Africans, two Irishmen, a Bulgarian, an Englishman and an Australian have in common? By Michael Brown New Zealand's Olympic team now stands at 88 after sailors Hamish Pepper and Jim Turner (Star) and Dan Slater (Finn) were added and runner Adrian Blincoe's (5000m) nomination was ratified by the New Zealand Olympic Committee. Spectators present at the Medemblik waters witnesses some outstanding sailing competitions in the 24MR class. The former class leader, Nederland's Thierry Schmitter claimed the class title with some brilliant sailing display. Israeli RS:X sailor, Shahar Zubari performed brilliantly throughout the 2012 Delta Lloyd Regatta and was able to claim the RS:X Men fleet title compiling 21 points after taking part in 11 races, including a discard race and a medal race. Technical Launch: Yachting Developments 30M sailing catamaran "Q5"
Jorden Veenman and Frank de Waard are sailing together with Team Boskalis since last year. They have found calmness in the boat. In 2011 they lacked that and a clear plan. In their sports technical plan the focus is on those two points. Gary Rickel, the club's campaign manager said the goal of the event is to get people interested in boating and introduce them to the Mohican Sailing Club. Rickel said Charles Mill Lake is one of the best kept secrets in the area. Sailing's national governing body will try to determine what caused an accident that killed four sailorsduring last month's yacht race from Southern California to Mexico. Burlington's Community Sailing Center gets its largest grant ever, $75000 from Jane's Trust to help foster Lake Stewards and teach people to sail. Abu Dhabi Ocean Racing continued to build on its lead in Leg 7 of the Volvo Ocean Race yesterday, and last-place Team Sanya also made a surprising surge, moving up to fourth place in the voyage from Miami to Lisbon, Portugal. Abu Dhabi was building a big lead on Leg 7 of the Volvo Ocean Race on Sunday local time after beating the fleet to a low pressure system that packs the power to catapult the yacht to within a couple of hundred miles of the finish. That gave the Abu Dhabi team a huge advantage of around 70 nautical miles, with about four days of sailing remaining before arriving in Portugal as they look for their first Volvo Ocean Race podium finish in an offshore leg. Having more runway to the south means we can choose to sail higher with bigger sails for longer, gaining valuable leverage on all but Abu Dhabi to our east, or we can choose to stay low and hold our northerly lane – the more likely scenario. Volvo Ocean Race: A drag race to Lisbon - but will Azzam last? So when you learn to sail they throw all these nautical terms at you and along the way you also pick up some more. Some people even use them in normal conversations for some reason. I have been on. They may look like eccentrics, but the sailors in the Jester Challenge are the heart of simple oceansailing. Volvo Ocean Race news and videos - Miami's ready!